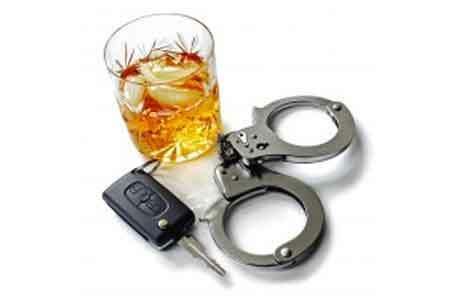 Retaining the right Columbus DUI Attorney can mean the difference between a reduction and conviction. Driving under the influence is a serious charge that can land you in jail, forfeit your vehicle, high fines and loss of a driver’s license for a long period of time. When you are facing the Ohio criminal courts and sanctions from the BMV, you need an experienced DUI Attorney on your side. A drunk driving / OVI charge is something that can happen to anyone. A lot of times officer’s arrest first and ask questions second. My firm’s DUI Attorney focuses on getting cases dismissed when the officers do not have probable cause to pull you over or reasonable and articulable suspicion to pull you out of the car. Most of the time the officer’s just pull driver’s out of the car without any reasonable suspicion they are impaired. Remember, drinking and driving is not illegal, its driving while impaired. I have handled numerous DUI/OVI cases in Ohio and know my way around the Ohio criminal courts. I want to hear about the circumstance surrounding your case. I will work immediately to get you driving privileges and your car released if it is impounded. This DUI Attorney will always be prepared to fight your case and take it to trial. You can be charged with and found guilty of OVI by either: 1) Driving under the influence of drugs or alcohol, or 2) Being found over the legal limit of blood alcohol content. The OVI laws in Ohio are very complicated and are always being changed. It is vital that you consult with a qualified attorney to know exactly what types of penalties you may be facing, and how to work out the best deal. 3-180 days in jail (This means you will serve at least 3 days in jail •$200-$1,000 in fines. from 3 years to lifetime driver’s license suspension Many other penalties are also likely, including probation, alcohol education and substance abuse classes, community service, and more. Ref: ORC 4511.19. An Ohio DUI charge based on testing over the legal limit is commonly called an OVI Per Se. On your ticket this may be marked ORC 4511.19(A)(1)(b)-(x) (or a municipal ordinance). Under Ohio law, you can be convicted of OVI if you were operating a vehicle and you tested over the legal limit. If you take a breath test you will be charged with OVI Per Se if you tested with a Blood Alcohol Concentration (BAC Test) between .08 and .16. If your breath test is double the legal limit all your penalties double. If your breath test is over .17 you will be charged with a “high-tier” violation. This means if you are convicted the minimum penalties doubled and yellow places/special plates are mandatory. This is a non moving violation. In many cases, someone who is charged with OVI may have there case reduced to a Physical Control or a Reckless Operation as part of a plea bargain. A person under 21 with a breath test between .02 and .08, may be charged with operating a vehicle after underage consumption. In essence, all the State has to prove is that you were driving, had alcohol in your system at the time you were driving and that you are under the age of 21. **In addition to the above penalties you may face immediate and permanent forfeiture of your vehicle. Once released from jail you will likely be placed on house arrest, particularly if this is your 3rd or greater offense. ** Judges can adjust your sentence depending on a variety of things. They will not only take your criminal history into consideration but also the circumstances surrounding your arrest and your level of intoxication. Felony OVI Charge An Ohio OVI is considered a felony offense if you are charged with a 4th offense within the previous 6 year period. Felony convictions typically carry penalties of more than 1 year in prison. So please call my office anytime for a consultation on your Ohio OVI case. I will let you know exactly what you are up against, and how my firm can help you get through it. If you have any doubt about whether you will pass the field sobriety test, or a test that measures your blood alcohol content, an experienced Ohio DUI Attorney would usually suggest to refuse such tests. There are few reasons for this. First, if you take the field sobriety tests, they are so subjective that even if you do well, the officers typically mark you down as failing anyways. Second, if you fail a breath or alcohol test, you make the prosecutor’s job much easier. If the test comes in at trial, you will usually lose. Your lawyer can still try to get the test thrown out. But most people are better off just not taking it. Third, a high alcohol test result increases your minimum penalties to almost double. As a cautionary note, if you are on probation and one of your conditions is not to refuse any breath tests, my advice is first not to drink and drive again, but if you do, then a refusal can still subject you to greater penalties so my advice would not be to refuse either. Better off contacting my office immediately upon being pulled over at 614-307-4343. If I refuse, Will I Lose My License? If you refuse, the officer will usually immediately suspend your drivers license. But that does not mean that will be the status of your license throughout the case. By hiring the right attorney, your lawyer can contest the suspension if filed timely on several basis. First, your attorney may file a Motion to Appeal your Administrative License Suspension Pursuant to ORC 4511.197 which provides three basis for an attorney to contest your suspension. (e) whether the Defendant tested over the legal limit. You will lose your license, at least temporarily, for refusing to take a test. But you will also lose your license for good if you fail the test.